See How to Improve Eyesight Naturally At Home! Eye exercises play a major role in managing sight problems such as eye irritation,eye pain, eye blurriness, how long to take effect itchy eyes, eye infection, eye dryness,eye sight defect, and so on. Include eye exercise in your regular exercise schedule. Don’t be too fast to perform the exercise. Sit down calm, relax and do the eye exercises. Gradually increase your exercise duration, but only about 25 minutes is necessary. Don’t strain your eyes though. Take it slowly, but be consistent. Mark a small black spot on the wall of your home with a black pen. Sit down comfortably on a blanket or a chair. 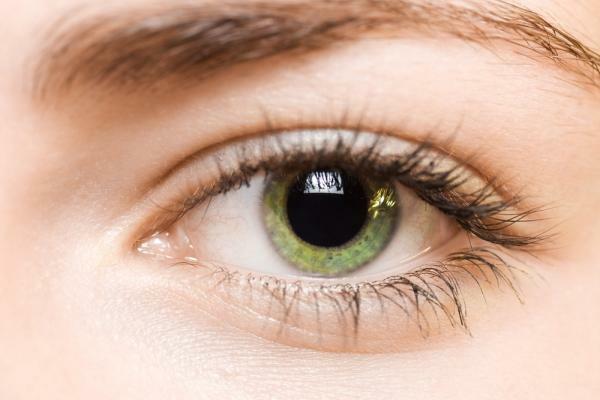 Start focusing at the black spot for as long as you can .This will help make your eyes strong. Open your eyes widely and close it tight (Be gentle in doing this exercise to avoid eye pain) Repeat this exercise for ten times with a 1 second pause on each set. Roll your eyes clockwise for 5 counts, followed by anti-clockwise movement for 5 counts this strengthens your eye muscles. Move your eyes up and down slowly. Then from left to right for 5 counts each. To enhance flexibility of eye movement. Blink your eyes frequently to improve nourishment to the eye muscles to avoid dryness. Blood circulation to eyes: Yoga too has a great impact on eye health. Next post: Taking Ginger Tea for Sore Throats!